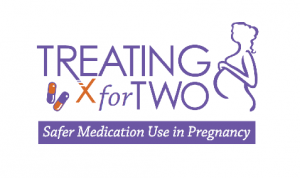 During National Women’s Health Week this year, the Centers for Disease Control and Prevention’s (CDC’s) National Center on Birth Defects and Developmental Disabilities (NCBDDD) wants to raise awareness about the safety of medicines before and during pregnancy. March of Dimes supports them with this important message. Many women wonder about the safety of medications during pregnancy. This is a great question that should be addressed. However the information to make educated decisions at times is limited. With this in mind, the CDC revamped their Treating for Two website to make this information easier to access. 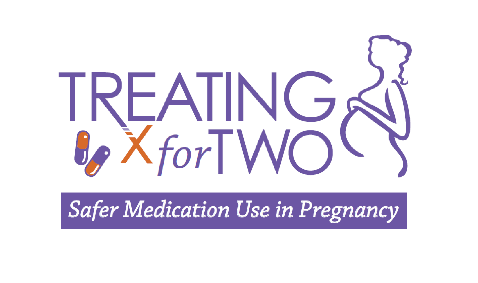 Treating for Two is a program that provides information and resources to help women and their health care providers decide together what medication is best. CDC created this website to help close this information gap and to provide evidence-based guidance. This program will support shared decision making among women and their providers regarding medication safety before, during and after pregnancy. According to the CDC, 9 out of 10 women in the United States take a medication during pregnancy. Chances are that you may need to take a medication during pregnancy or during the first weeks of pregnancy, when you might not even know that you are pregnant. Make sure you always discuss with your provider the safety of the medications he or she prescribes to you. Let him know if you think you are pregnant or if you have been trying to get pregnant. Some medications may cause premature birth, birth defects, neonatal abstinence syndrome (also called NAS), miscarriage, developmental disabilities and other health problems. Take the medication exactly as your provider says to take it. Don’t take someone else’s medication. Don’t stop taking a prescription medicine without talking to your provider first. Ask your provider if you need to switch your medication to one that is safer during your pregnancy. Discuss with your provider all the medications you take, like: over-the-counter medicines, herbal and dietary supplements and vitamins.